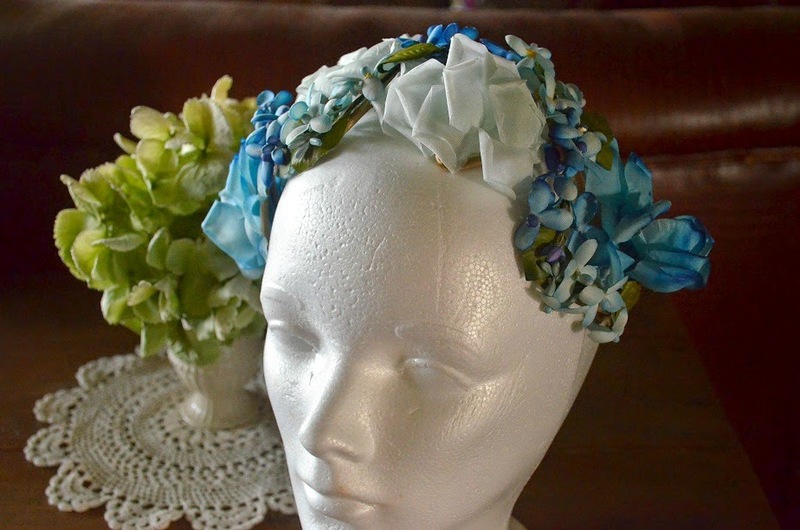 You may not believe this, but I have almost run out of spring/summer hats. 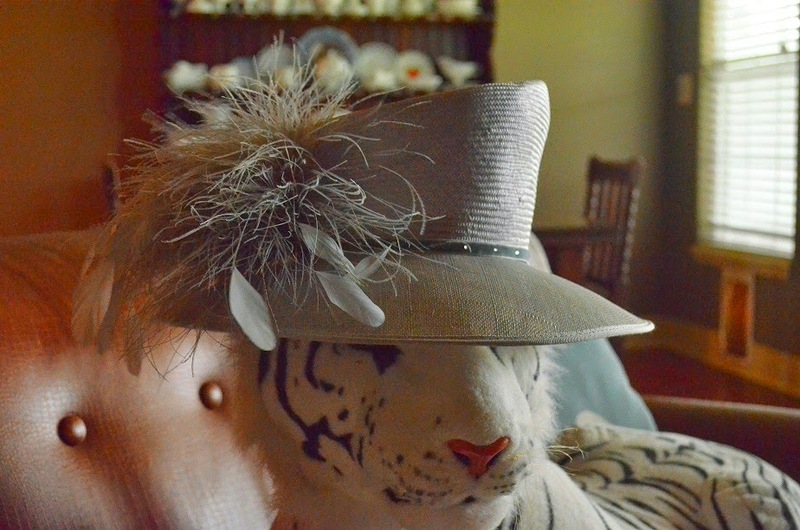 This was another fabulous hatinator that I picked up while we were in England earlier this year. I really do love the hatinators because they don't slip on my head. 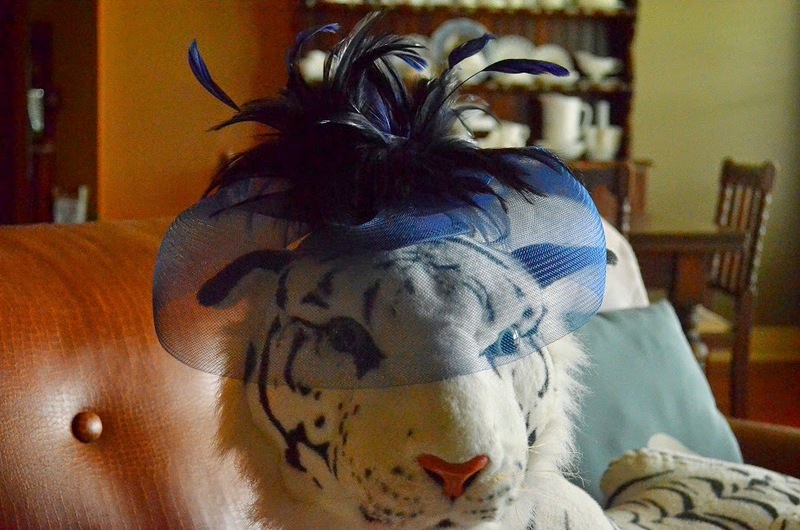 I love this blue-gray quirky asymmetrical feathered chapeau - another one I picked up in England. Until I started loading all of the pictures for this post, I didn't realize that I had worn so many blue hats this summer. This little vintage caplet came from an estate sale. 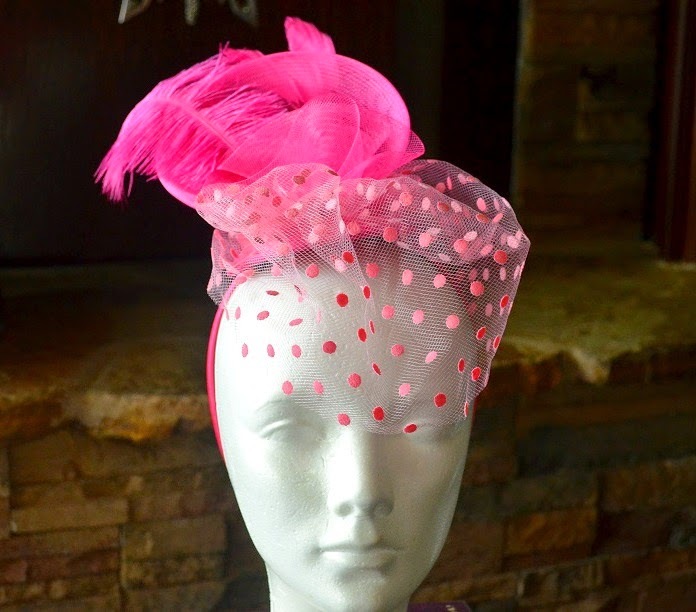 The fuchsia fascinator was the last of the recently purchased English hats. I fell in love with the color and shape of this vintage pillbox when I saw it at an estate sale. Again with the blue...I wonder if there is some sort of deep psychological reason for all of the blue? Most likely, it is because those are what hats I had yet to wear. My parents gave me this hat at Christmas one year. It was an estate sale find. The only hat Diva has worn this summer that hasn't been worn previously was this cutie patootie watermelon hat. Here's to a less blue inspired autumn and the warm and fuzziness of cooler weather hats! I love the hatinator! It's beautiful! It really is stunning. I am really liking that trend of the hatinator. Thanks so much Ms. Lora! Love this! Were you a hat wearing woman before you lived in England or did you come to love them while living there? Where in the world do you find these wonderful creations?